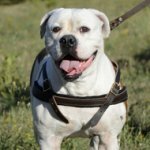 Where to Get a Service Dog Harness for Mantrailing? Mantrailing is a search work for a certain person after individual scent. 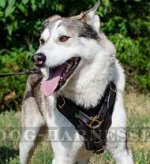 Well trained service dog needs super comfortable harness to do the work with success and to keep its mind on the task. The dog should draw its focus toward the mission to the maximum and the harness, which causes discomfort or hurt the animal, is unacceptable. 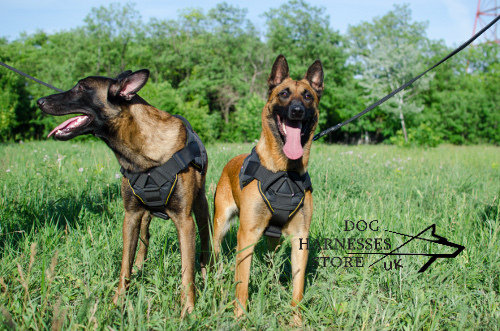 There are 2 the best working dog harnesses that are made by professionals and used by special units. 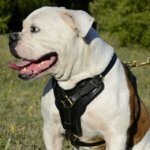 Our nylon harness for mantrailing provides exceptional comfort for the dog. 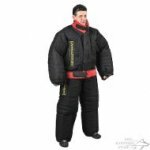 It has wide and cushion-like chest plate to distribute loads along the dog's body evenly. 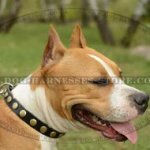 Thus, the harness doesn't put any pressure on neck and throat of the dog and it can breathe freely. 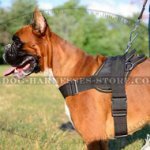 There is also broad back plate to make this harness very convenient. Straps are wide. They won't cut into the dog's skin. The harness is 4 ways adjustable. This option is for size regulation and the harness is put on and off with quick-release buckle of strong plastic. 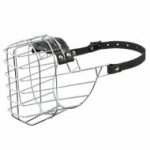 There is an ergonomic handle on the back plate for additional control over the dog and welded D-ring for leash fastening. There are also side D-rings, which are used for pulling. Thus, you can use this harness not only for mantrailing, but also for muscles development, various kinds of training, sport and walking. The material of the harness is suitable for all-weather usage. Nylon is extra strong, wear, stretch and waterproof. It is easy to clean and maintain. The harness causes no skin irritations and rubbing. 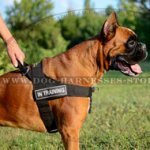 Your dog will feel comfortable with this harness during the day! 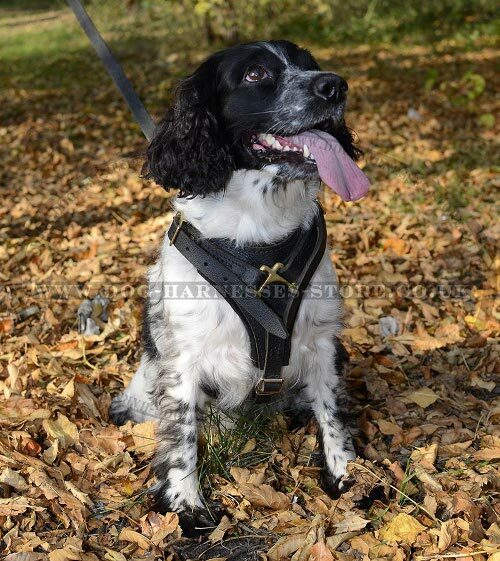 Our leather working dog harness is of the finest quality. Leather is natural. It is incredibly durable and soft. 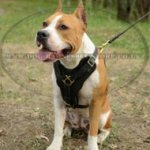 The materials and design of this harness make it very comfortable for the dog to wear for long distances. The harness doesn't restrict dog's movements, while giving ultimate control for you. This harness provides free air flow that is very important for long tracks. Chest plate of the harness is lined with felt to avoid rubbing and to make it pleasant to wear. Back plate is also felt padded. There are 4 strong leather straps, which are adjustable. Their edges are rounded and won't rub or cut into skin. 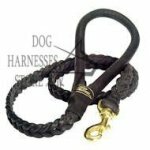 Every strap is regulated with classic buckle and there is a quick-release buckle to get into the harness within seconds. 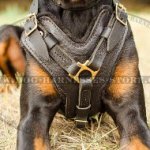 The harness is stitched with polyester thread for additional strength and is fitted with solid brass hardware. Every metal detail is rust-resistant, welded and gold-shining to add luxury look to the harness. A leash attached to the D-ring on the back plate. It will resist heavy loads and won't break. This harness is made by hands by experienced craftsmen and is it intended for long-term use. It is a multipurpose outfit and used also for tracking, training and walking.